I made this theme because I love to work in a blue colored theme. (die hard miku fan ) And I didn't like default theme so I changed the colors to the panel I normally use on my work. Its not done yet and I worked only some hours on it because I am kind of busy and I want this to be a better thema. Thats why I am posting this already because I don't have a lot of time and I hope someone want to join me and build with me this thema. In a future update I am also planning to change icons and maybe if I found out where the home page file is change the home page. Thats because we have now 2 navbars with the same urls and a home page with also that kind of urls so I want to add some server info or something like that. 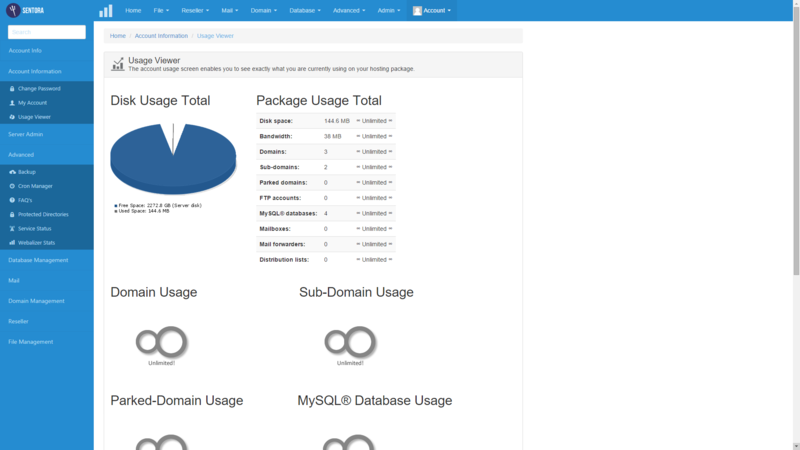 Upload the folder into /etc/sentora/panel/etc/styles directory on your Sentora server. 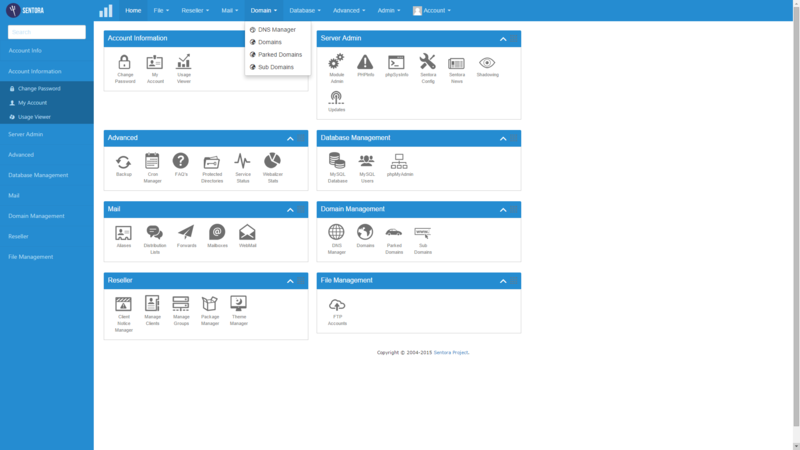 Go to your Sentora Admin => Reseller => Theme Manager choose Sentora_Blue and save. If you like i can put this in my demo's, or do you want that i wait with it until you have done icons and such? (05-23-2015, 01:54 AM)thepascalboy Wrote: Thats why I am posting this already because I don't have a lot of time and I hope someone want to join me and build with me this thema. You can post it on github so it's easier for others to contribute..
(05-23-2015, 01:54 AM)thepascalboy Wrote: Extract the zip file and rename the directory to S-Type. I don't mind if you're using text from my posts but i think this is not right..
Quote: If you like i can put this in my demo's, or do you want that i wait with it until you have done icons and such? Oke thanks, but its not done yet. I think its not worth it yet. Both git based, so not much difference. I think did not much with bitbucket. It's oke that you copy and pasted text from my S-Type post, you only forget to change the name S-Type with your own..
By the way, GitHub is great for public repositories. However Bitbucket excels for private teams. (05-23-2015, 08:38 PM)apinto Wrote: By the way, GitHub is great for public repositories. I am using already for 2 years bitbucket and I am now switching to stash, but github is great for opensource, but I don't develop a lot of open source yet.